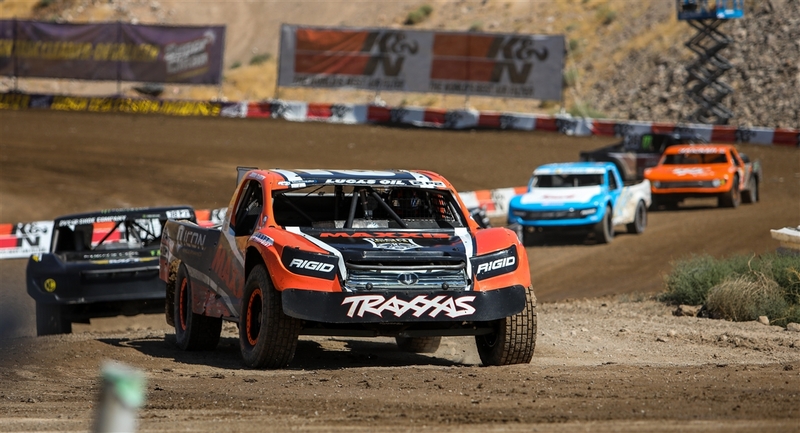 The Maxxis tires, ICON Vehicle Dynamics backed JM2 team of Jeremy McGrath and Brock Heger take podium finishes in every race during rounds 9 and 10. The final tally over the weekend was 4 wins, 1 second and 1 third out of 6 main events. The team, drivers and sponsors are still feeling the excitement of intense battles, big wins and great racing. 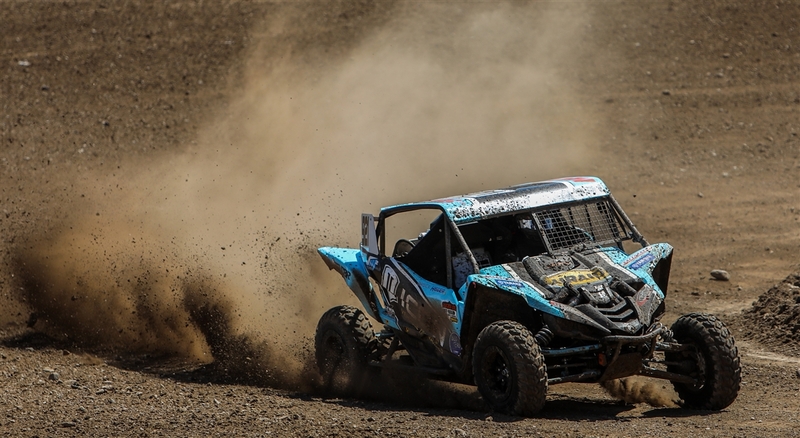 Brock Heger started the weekend off with a wire to wire win in the production 1000 UTV class. He then backed it up with another solid win in the Pro Lite class that put him back in the points lead for the series over Jarrett Brooks. McGrath then pushed his bright orange Maxxis tires Pro 2 to a solid third place finish to round out the day with 3 starts and 3 podiums for the JM2 team. Sunday morning the team was feeling good about a few changes made the night before and was ready to take the top steps of the podium. Brock again pushed to the front of the field in his ICON Vehicle Dynamics, Airaid, Weller Racing Yamaha and scored another big win in the UTV class extending his points lead to 53 over second place. Next up was the highly competitive Pro Lite class. After only a few turns the race of the year began to unfold with Jarrett Brooks and Heger. The two drivers separated themselves from the field and put on a demonstration in skill, clean racing and mutual respect. Brooks and Heger were never more then a few feet from each other the entire race. Both drivers were flawless with Brooks taking the win and Heger finishing a very close second. When the Pro Lites made their way to victory lane Heger and Brooks slapped high fives and congratulated each other on a great race. 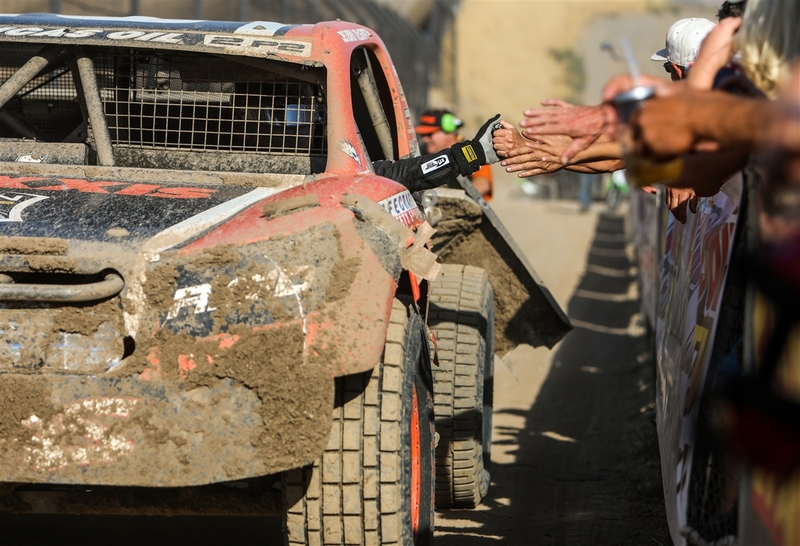 With young talent and great sportsmanship like this the future of off-road racing is looking good! Pro 2 action was up next, and McGrath had no intention of letting his young teammate take all the wins for the JM2 team. The race got off to a great start with Rodrigo Ampudia taking the lead and McGrath dropping into second. McGrath and Rod Amp drove 5 solid laps until the pressure got to Rodrigo and he spun in turn 2 collecting McGrath and then Bradley Morris into the back of Jeremy. The chain reaction spun Rodrigo completely around allowing Jeremy and Bradly to get by. McGrath held on to the lead with Morris and Brooks finishing out the top 3. The weekend was amazing for the JM2 team taking home 6 podiums out of 6 races and leading the series with 26 points in the Pro 2 class, 53 in the Production UTV and only 3 points behind in the Pro Lite class. The next race is at Glen Helen, CA on Sept 15 and 16 th.